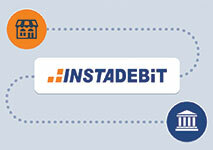 InstaDebit is a secure online payment service currently based in Canada. The company offers users an extra layer of security when paying online using a credit card or a bank transfer, while making the transaction anonymous and safe. InstaDebit acts like a middle-man between the payer and the payee. The money moves through InstaDebit’s system so the other party never receives access to the user’s bank or card information. Casinos supporting InstaDebit payment method allow gamblers to deposit funds smoothly and hassle-free. While InstaDebit is a popular online payment service in Canada and all major online casinos accept it as a valid payment method, some smaller sites may not. It may be presumed that InstaDebit is an eWallet service like some of its competition, but that is not the case. The consumer may not deposit funds directly to their InstaDebit account, instead they can charge it through other conventional methods such as using a credit or a debit card. InstaDebit is allowed to move funds from and to a bank account at the consumer’s will. Topping up an online casino account happens immediately and it takes several business days for the transaction to clear with the bank. Creating an InstaDebit account is a short and easy process and players can make their first deposit within 15 minutes. The user needs to provide their bank account information and some personal data. InstaDebit works with every Canadian financial institution, which makes for a very inclusive and inviting system. There is no activation or approval wait time, the account can be used immediately. A user may have only one registered account with no more than one bank account in it. Any duplicates or ones, containing untruthful information will be deleted by the website, so do not forget this while choosing which bank account you would like to use for your InstaDebit one. Creating an InstaDebit account is a quick and easy process and players can make their first deposit within 15 minutes. Registration involves a few simple steps. Your account may be either pre-registered, or as a part of your first transaction. Be prepared to provide some personal information, though, as this is required to verify your account at first. You will be requested to fill in some basic information like your names, address, email address and date of birth, as well as the last four digits of your SIN. The purpose of all this is to verify your identity, but also to prove that you meet the requirements for the clients of the website – to be at least 18 old permanent Canadian residents. 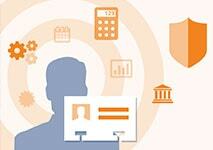 The next type of personal information you will have to provide is about your bank account. There are no certain requirements about the bank account you are registering. You will need to provide your transit number, your financial institution number and your bank account number. These details can be found at the bottom part of your checks, or you can ask your bank for these details. After you have inserted your bank information InstaDebit deposits a small sum to your bank account, which then appears on the bank statement. This process may take 3 to 5 days, so be patient and check your bank statement regularly. During these verification period, you will have some spending restrictions. You must enter the amount of the deposit on the InstaDebit website to receive full access to the full potential of your account. It is crucially important to enter the correct amount otherwise the account will be suspended and has to be reactivated manually by InstaDebit customer support agents. InstaDebit is entirely exclusive to Canadian citizens with a Canadian bank account. The service is not available to any other country. It is also possible that legitimate Canadian players may not be able to access their InstaDebit accounts while abroad. For this reason the company only does business in US and Canadian dollars. Each currency is set up independently from the other. The player will be presented with a separate tab for each respective currency. Logically if the user has a balance in USD and wishes to deposit to a casino in that currency, InstaDebit will take the money from the USD balance and not the CAD one. In the event that a user has to pay in USD for something posted in CAD, InstaDebit automatically exchanges the currency and the converted amount is shown on the receipt page. Keep in mind that the only currencies you can have in your Balance Account are CAD and USD, and the conversion is limited to the event that has to be payed and has no reflection on the variety of your InstaDebit account currencies afterwards. InstaDebit will fund every transaction from the User’s Account Balance, unless the amount of money there is insufficient. In such cases, the transaction will be covered by a transfer from the User’s Bank account. Be aware, that if you try to make a transaction from your User’s Balance Account to your Bank Account with an insufficient amount of money, you may be required to pay a fee and bear responsibility for this action of yours. InstaDebit applies the standard conversion rate for that day and charges a commission for the service. 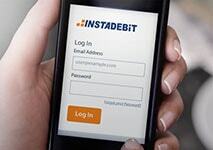 Depositing to an online casino with InstaDebit is simple. A registered user can simply go to the cashier page of the casino and chose the InstaDebit as the method of payment, then enter the amount they would like to deposit, enter their username and password for InstaDebit and confirm the payment. However, even if the casino in which the gambler plays has a mobile application, the case with InstaDebit is not the same, and they will have to use the phone’s browser to log in their InstaDebit account. It is important to note here that the money transfer is instant, so a player can start their casino adventure within minutes after claiming the transaction. Usually, there are deposit minimums and maximums, specific for every casino, so one has to make sure they are aware of these limitations before choosing the deposit amount they would like to fund their casino account with. Withdrawing your winnings from a casino is the same process as depositing, just reversed. The player needs to go to the cashier page and enter a sum to cash out, then select InstaDebit for the transaction and confirm. Just like the deposit one, most casinos have a withdrawal minimum and maximum sum per transaction, so it would be wise to check the casino’s terms and conditions before deciding upon the exact amount that will be taken out from your casino account. The withdrawal will be processed immediately after the customer has claimed it. However, it may take a few days before the sum is visible on your bank account, as most casinos have a pending period of one or two days. Unlike the case with deposits, a humble fee may have to be payed when withdrawing money, depending on the casino a player has chosen. Making payments using InstaDebit through the bank account costs the user CA$2, but paying by InstaDebit balance is completely free. Depositing to an online casino will cost the player between CA$1 – $2 but only if the account is funded directly from the registered Bank Account instead of the Balance Account. Withdrawing winnings from an online casino to the user’s InstaDebit account depends on the casino in question. The process of withdrawing is similar to depositing. The user needs to enter the amount they wish to withdraw and choose the InstaDebit withdrawal method, after which the sum will be moved to the InstaDebit account. 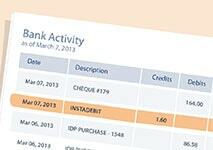 When transferring money from an InstaDebit account to a bank account a service fee of CA$2 will be deducted. However, customers have to be careful and strict about whether the exact amount of money they would like to transfer is available on the account or not, as there are some banks that may charge for trying to transfer money from your bank account to your balance account without a sufficient amount of funds depending on their policy. Users should note that financial institutions may apply their own charges for using the bank interface on the InstaDebit service, though this varies from institution to institution. 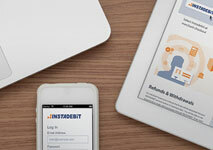 InstaDebit has at its disposal a modern and sophisticated security system. All communication between the consumer and InstaDebit is encoded by 128-bit encryption system. The website is protected by McAfee, an American computer security software company, that has previously existed under the name of Intel Security Group, with years of history and experience in the branch. Furthermore all transactions are monitored and protected by cyber-security firms VeriSign, and TrustArc (with a former name TRUSTe), a non-profit company, ensuring that everything, related to the private policies of the website is fine and in compliance with the government laws. The website has a Norton certificate by digicert, responsible for the encryption and authentication. Whenever a user signs up for the first time they are required to submit their date of birth, to prove that they are 18 years of age or older, and the last four digits of their Social Insurance Number (SIN) to verify their identity. Also, InstaDebit takes bank verification very seriously and in case the user enters a wrong number during the verification procedure, their account is blocked and has to be restored manually after a member of the support team has been informed. In addition to these measures, if any inconsistencies appear at some point the system, again, may close or block an account. InstaDebit clearly goes to great lengths to ensure the safety of their users’ private and bank information. Tech experts would laugh at the prospect of someone gaining access to any data, let alone managing to bypass the highly complex encryption. Taking all the information above into consideration, InstaDebit, obviously, has some pros and cons, which should be redeemed, before choosing this method. InstaDebit’s service fast and secure transactions, making it possible to send and receive money at the click of a mouse button. Payments cost the user nothing, all while protecting their private information. What is more, even casino withdrawals, which often require that the player pays a small amount of money, are free with InstaDebit, as all charges are payed by the casino. One of the biggest pros InstaDebit can boast with is safety. The website is protected and certified by some quite well-established brands in this business and this guarantees that no matter what you are doing, it is conducted in a safe and legitimate manner and you can get more information concerning any of these institutions and companies whenever you feel the need to. You can think about all safety measures, regarding registration and safety, and only imagine the effort that is put on a daily basis to keep your experience secure. Also, unlike some other payment options, InstaDebit offers both the option of deposit and the option of withdrawal. This way, it is possible to choose it for all your online casino operations, as this is a requirement some casinos have listed in their terms and conditions section. In all other cases, this choice makes the whole process of payments a lot easier, faster and enjoyable. InstaDebit offers multiple options when it comes to customer support. The customer can correspond online by email or live chat service. Alternatively the company provides a toll-free 24/7/365 phone service. InstaDebit’s main disadvantage is that is it limited only to Canada and its citizens. This alienates a large potential client base and limits them to a significantly smaller market. Additionally the currencies are also limited to Canadian and US Dollars, which may not be for everyone and may add up some additional costs due to currency conversion. Another disadvantage is the lack of a mobile application that enables users to make quick and easy transactions even when they are not near their PC. If they, after all, need to use this payment method, they will have to do so through their mobile browser, which is not always a reliable option, as this way sometimes requires a stronger Internet connection and proceeds slowly if there is no such. InstaDebit does not have a mobile application like some of its competitors, restricting users who wish to top up their accounts on the go and forcing them to resort to using their phone browsers, which may provide questionable results. Non-Canadian gamblers have to turn to other providers to gain this type of service since InstaDebit is accepted only in Canada. InstaDebit is an excellent way to transfer money over the Internet. The service offers fast and reliable transactions, coupled with complete anonymity. The users’ data is always protected behind InstaDebit’s extensive security systems and encryption software. Creating an account is as simple as possible and one can be set up and fully functioning within the hour. The company also provides great customer support day and night. With that in mind it is also needed to address that InstaDebit is limited to Canadian citizens with a Canadian bank account. The service is not available even in the USA. The available currencies are also strictly limited to only two – US and Canadian dollars. For Canadians this service is truly excellent, being accepted at every major online betting site for deposits and withdrawals.